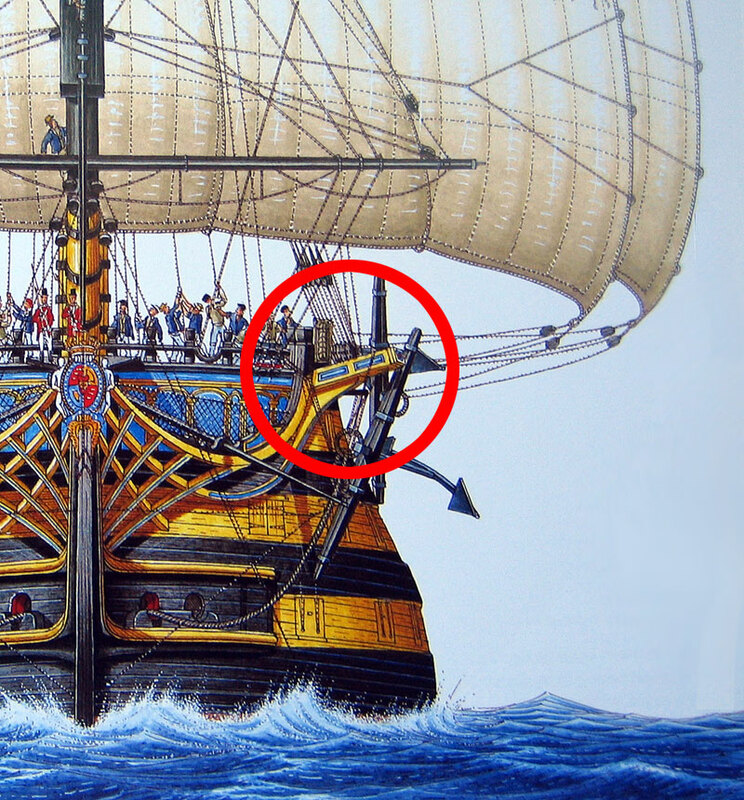 Pirates & Privateers : What’s the name of the large protruding piece in the bow of a ship which is used to manipulate the anchor? 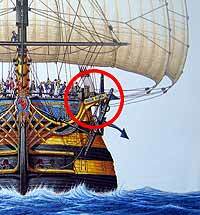 Question of gbn (10.28.2015): What’s the name of the large protruding piece in the bow of a ship which is used to manipulate the anchor? A: This is the cathead. This is a very thick solid piece of wooden frame that overflows the forecastle and contains clans (notch/cuts) serving high hoist pulley. Thanks to @DirkPuehl for his help. © Illustration Stephen Biesty "A bord d'un vaisseau de Guerre", published by Gallimard.